Wouldn’t it be great to use your Android lock screen to turn on your flashlight, jump to your camera, and otherwise make accessing your phone and information on it lightening fast? Read on as we show you how. Smartphone locks screens, Android and otherwise, are woefully underutilized. Where all manner of information widgets and quick-access buttons could reside there’s usually nothing but the lock slider and/or security interface. An android device running Android 2.1+. 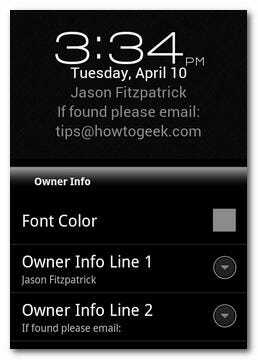 A copy of WidgetLocker Lockscreen ($2.99 as of this writing). We do our best to take advantage of free-as-in-beer tools, but when it comes to overhauling your Android lock screen the options are usually woefully under-powered/under-customizable. 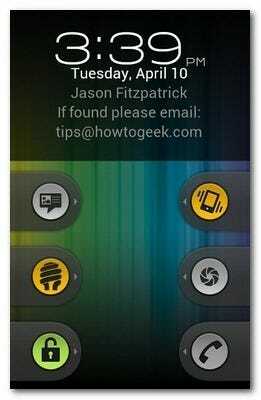 Three bucks for WidgetLocker Lockscreen, given the variety of customization you can undertake and the simplicity by which you can do so, is a steal. 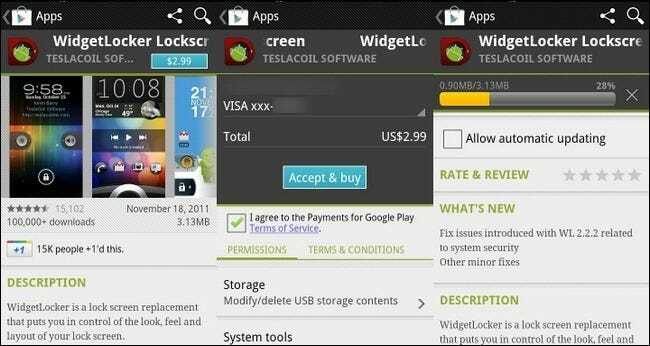 Although we found the WidgetLocker installation to be completely trouble free, there are a few things to consider. First, if you’re using a security lock screen (such as a the pattern lock or PIN lock) WidgetLocker will respect the security settings on your phone. 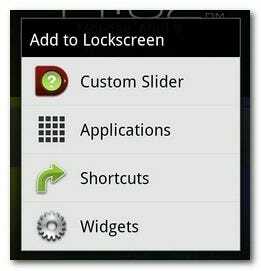 This means that WidgetLocker will layer itself over the existing lockscreen. Someone with unauthorized access to your phone could mess with the LED flashlight or turn the ringer off, but they’d still have to authorize themselves properly to access the phone dialer, SMS inbox, or other protected elements of the phone. Second, although we had no problems with WidgetLocker layering over the pattern lock it was a bit flaky with the PIN lock. 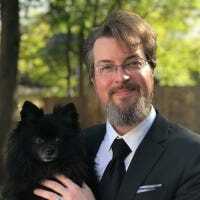 From what we’ve gathered reading over the WidgetLocker documentation this is more of an issue with the PIN lock implementation than with WidgetLocker’s failure to address an issue with their product. 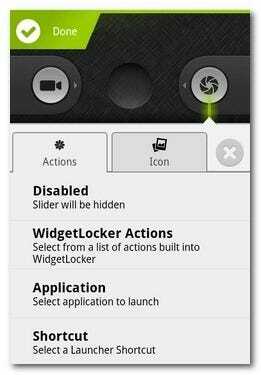 If you want to change your security lock screen and/or temporarily or permanently disable it while using WidgetLocker, navigate to Settings –> Location & Security –> Change Screen Lock. All that said, it’s time to install the application. Hit up Google Play to purchase the app here (if for some reason you cannot or will not use Google Play, you can buy directly from the company here). Once it’s done installing, tap on Open to launch the application. If you press on an widget-free space the Add menu will pop up and prompt you add a slider, application, shortcut, or widget. Note: the space between two sliders is not technically widget-free, you press and hold between the two sliders to access the editing menu for the sliders. Between the two menus you can quickly and easily wipe the screen and start fresh or dig in and customize the existing layout. Let’s take a look at how to customize a slider to turn on the LED flashlight. Click and hold on the space between one of the default sliders. Select Edit from the popup menu. You can do several things on this screen. 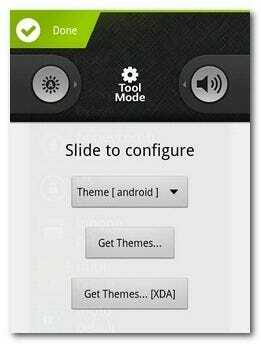 You can change the theme with the pull-down menu and also download additional themes. We’re happy with the default theme, however, so we’re going to jump right into customizing the sliders. You can access the slider customization menu by swiping the slider as you would if you were really using it; rather than execute the task it will open the menu. On one of our sliders we opted to replace camera function with the LED flashlight function. Now we can easily toggle our LED flashlight on and off from the lock screen without having to open the phone and fiddle around with it. When you’re done tweaking the particular slide you’re in, tape Done in the corner. 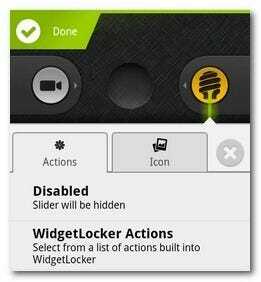 Nearly every feature of every item in WidgetLocker can be tweaked. The default Lock Screen Clock, for example, can be customized to include owner information. Let’s customize that now. Take a moment to press and hold on the clock, then select Edit. Scroll down to the bottom of the list until you see Owner Information. We’ll be the first to admit that our setup is rather utilitarian; we look forward to seeing what kind of home screen layouts How-To Geek readers can come up with. If you put together a particularly clever layout, or just stumble across a really great widget that integrates nicely with WidgetLocker, we want to hear all about it in the comments.